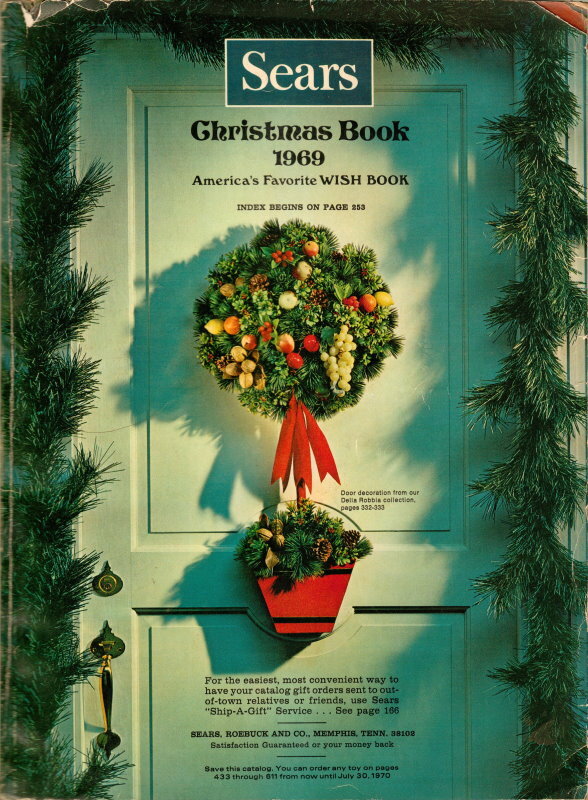 I bought a 1969 edition of the Sears, Roebuck & Co.'s Christmas Wish Book on eBay. It was the year I turned 11 years old, and was also the year of the Apollo 11 moon landing. 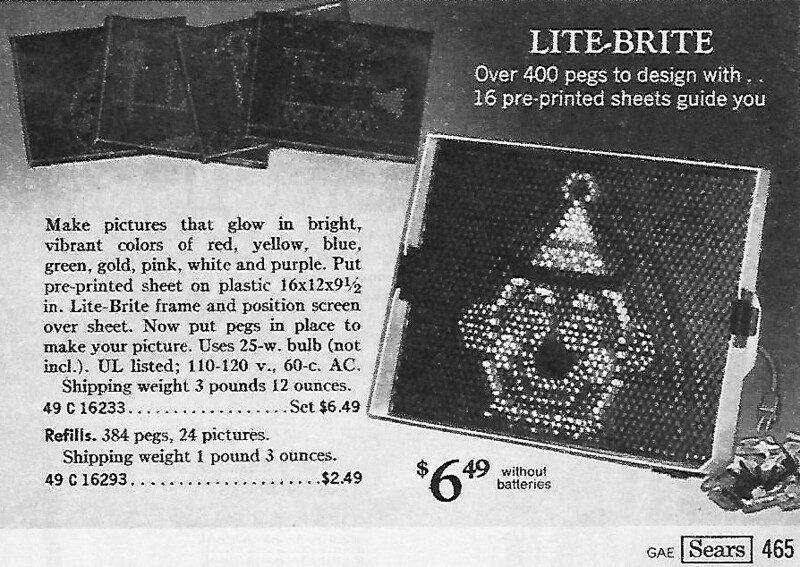 Remembering how I eagerly awaited those pages filled with advertisements for model airplanes, boats, guns, Erector sets, and countless other things, I figured it might be nice to look through one again. Here is the 1967 Montgomery Ward Christmas Catalog, the 1969 Montgomery Ward Christmas Catalog and the 1969 Sears Christmas Wish Book. Enjoy! 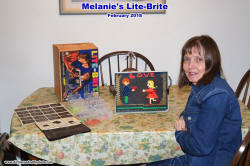 When Melanie and I got married in 1983, part of her dowry included some of the toys she had as a little girl. 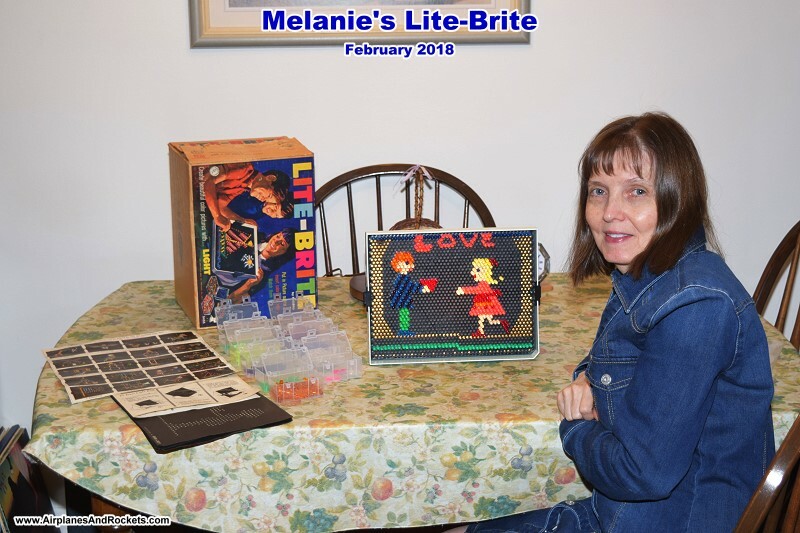 A Hasbro Lite-Brite was one of them. Our kids played with it when they were young, but somewhere along the line during our many household moves, it disappeared. We probably donated it to the Salvation Army at some point - a lot of our stuff has ended up there. About a month ago we started watching for a good one on eBay that didn't cost too much. 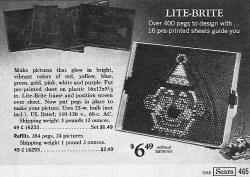 The catalog page is from the 1969 Sears Christmas Wish Book, page 465.